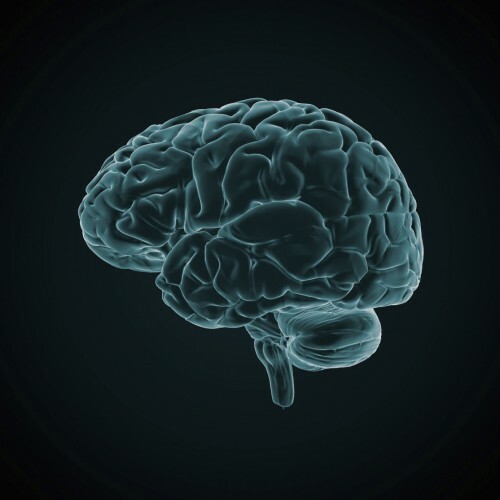 Is Your Brain the Fountain of Youth? Dr. Amen first came to my attention a few years ago. I was flipping through channels and landed on my local public television station. There was Dr. Amen showing an audience how his brain research could transform lives. I couldn’t stop watching and immediately ordered his books. Before they came, I wanted to know more about him. His background is impressive. He has had over thirty years of experience as a clinical psychiatrist. 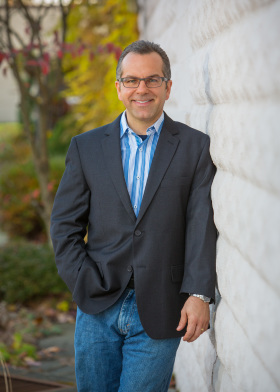 He’s a New York Times bestselling author and the director of the Amen Clinics. In addition, he is an Assistant Clinical Professor of Psychiatry and Human Behavior at the University of California, Irvine School of Medicine. When I heard that he had a new book coming out, I couldn’t wait to read it. Here is an interview with Dr. Daniel G. Amen, M.D., author of Use Your Brain to Change Your Age: Secrets to Look, Feel, and Think Younger Every Day. Most people think of youthful looks and they think of all of the magazine covers at the checkout stand. We think of fad diets and strenuous workouts. But you say “The fountain of youth is between your ears.” How is the brain the key to making us look younger? I am grateful for the opportunity to appear in your blog! Thank you. Your brain controls everything you do, including how you think, feel, act and interact. Your brain is the organ of personality, character, and every decision you make. The quality of your decisions is the number one predictor of longevity. It is your brain that makes good decisions that keep you healthy and alive for a long time, or it is your brain that makes the bad decisions that kill you early. If you want to live a long, productive, happy, vibrant life the first place to start is by having a better brain. 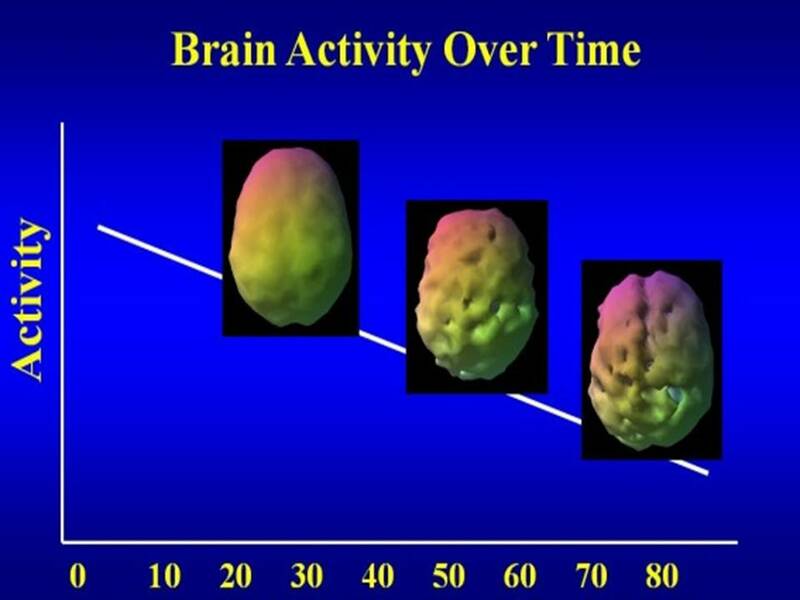 After performing over 72,000 brain SPECT scans at the Amen Clinics (SPECT looks at blood flow and activity in the brain) it is very clear that as we age the brain becomes less and less active. See the chart below. Now that I’m 57, I hate that. But, our research has shown that with your behavior you can accelerate the aging process, making your brain look and feel older or you can decelerate it. That is one of the main reasons I wrote this new book. I want to teach people the lessons I have learned to slow or even reverse the aging process in the brain. Your book is so loaded with practical tips for your health. Specifics on diet, supplements, exercise, sleep, massage, breathing techniques…what to do, what not to do. Where do you start? Brain health is really very simple. It starts with 3 strategies. Brain envy. You have to truly want to have a better brain. Avoid anything that hurts it, such as drugs, alcohol, environmental toxins, obesity, hypertension, diabetes, heart disease, sleep apnea, depression, negative thinking patterns, excessive stress, and a lack of exercise or new learning. Consistently do good behaviors that help it, such as a great diet, new learning, exercise, accurate thinking habits, stress management, and some simple supplements to nourish the brain. I teach my patients to play Chloe’s Game. Chloe is my 8-year-old daughter. Ever since she was 2 years old I have taught her to ask this simple question whenever she decides to do something, “This is good for my brain or bad for my brain?” If you can answer this one question right, you are likely to live a long time. Most diet books recommend the same program for everyone. You recommend different diets depending on personality. Why? Based on our brain-imaging work over the last 20 years, we have discovered two of the major secrets why most diets don’t work. And contrary to what you might think, they have nothing to do with your lack of desire to lose weight or your willpower. In fact, as we have seen, for some people the harder they try to lose weight the worse it gets. The first secret is that most weight problems, like aging, occur between your ears. So stapling your stomach, may in fact be working on the wrong organ. It is your brain that pushes you away from the table telling you that you’ve had enough, or it is your brain that gives you permission to have that second bowl of ice cream, making you look and feel like a blob. If you want a better body, the first place to always start is by having a better brain. 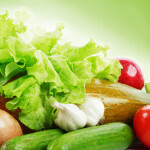 The second secret is that there is not one brain pattern associated with being overweight. There are at least five different patterns. And knowing about your own specific brain will make losing weight and keeping it off a whole lot easier. When I first started to do our brain imaging work at the Amen Clinics in 1991 I was looking for the one pattern that was associated with depression, ADD, or bipolar disorder. But as I soon discovered there was clearly not one brain pattern associated with any of these illnesses. They all had multiple types. Of course, I then realized, there will never be just one pattern for depression, because not all depressed people are the same. Some are withdrawn, others are angry and still others are anxious or obsessive. The scans helped me understand the type of depression, or ADD, or bipolar disorder a person had, so that I could better target their treatment. This one idea led to a dramatic breakthrough in my own personal effectiveness with patients, and it opened up a new world of understanding and hope for the tens of thousands of people who have come to the Amen Clinics and the millions of people who have read my books. As we looked at the brains of our overweight patients, we discovered that again there was not one brain pattern associated with being overweight, there were at least five. We saw patterns associated with brains that tended to be impulsive … some were compulsive … others were impulsive and compulsive … some were sad … and still others anxious … in various combinations. This is exactly the reason why most diets don’t work. They take a one size fits all approach, which from our brain imaging work makes absolutely no sense at all. Each type needs its own specific treatment. At our company, we recently installed ping pong tables in our facilities. I’ve seen it improve our culture and our creativity. When I read your book, I was excited to see why. What can you share about these types of activities and how they impact your brain? What a smart company! I say that ping pong is the world’s best brain game. No wonder the Chinese are taking over the world. One secret we have learned through our brain imaging work is that the cerebellum in the back bottom part of the brain is involved with both physical coordination and thought coordination, boosting judgment, impulse control and organization. Doing coordination exercises like table tennis, where you have to get your eyes, hands and feet all to work together, forces you to work this part of the brain and can boost very important thinking skills. There is a brain SPECT study from Japan that showed people who played table tennis boosted the activity in the cerebellum and another part called the prefrontal cortex (in the front of the brain), which helps supervise your behavior. Have fun and be smarter too. Beer pong definitely does not count. Like many, I first became absorbed in your research when I saw you on your PBS program. In both your speaking engagements and your books, you make all of this complex research accessible to the average person. What’s your secret to taking concepts ranging from neuropsychiatry, neuroimaging, psychiatry, and human behavior and making them understandable? I truly love, live and breathe this work and am always looking for simple ways to explain these concepts. Plus, I spend a lot of time with Chloe and my young grandchildren teaching them about brain health. If you can explain it to an 8 year old, most adults should be able to get it. You include so many remarkable success stories of people who have turned their whole lives around based on your program. What’s one example that stands out to you? Two years ago Steve was 40 years old and weighed 630 pounds. He was struggling with depression and a 25-year addiction to alcohol and nicotine. He suffered with sleep apnea, hypertension, diabetes, and chronic pain in his feet that tortured him day and night. He was so big that whenever he fell, one or two people could never get him up and he would have to call 911 for a team of people to help him. At the time he was thinking of suicide but he could not get up the stairs to get his gun. His sister saw me on UNC-TV in North Carolina and got him a copy of my program, which he followed religiously, and over the next two years Steve lost just about 400 pounds, all without any surgery. In addition, Steve has gone from 10 medications to 2 and he has also lost his pain, diabetes, alcohol, cigarettes and depression. Not only does Steve look and feel dramatically younger, but his brain is younger as well. He has better focus, energy and memory. Ultimately, Steve used his brain to change his age and in the process he saved his life. Steve is now one of the coaches on our online community site The Amen Solution At Home. You created a 52-week “get healthy” program with Pastor Rick Warren, Dr. Mark Hyman and Dr. Mehmet Oz. Forgive the pun, but what a brain trust! What was it like creating this program with them and what’s been the response? The Daniel Plan was Rick Warren’s vision one Sunday after he baptized over 500 people in 2010. He thought to himself, “We are all fat. We need to get healthy.” Then he saw me on television and heard me talk about The Dinosaur Syndrome. There are 18 studies now that say as your weight goes up the size of your brain goes down. That should scare the fat off anyone. So I coined the term Dinosaur Syndrome (big body, little brain, you are going to become extinct). 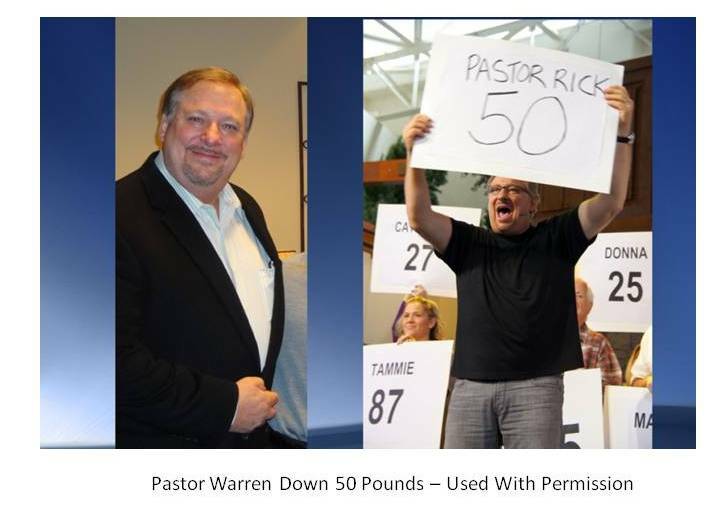 Pastor Warren didn’t care about getting healthy for his heart or to live longer (he is a pastor). When he heard he was destroying his brain that motivated him to get healthy. He knew his influence came from how well his brain functioned. Together with my friends Mehmet Oz (heart surgeon) and Mark Hyman (functional medicine physician) and me (brain health) we created a comprehensive program to get the church and the world healthy. The results have been amazing. The church reported losing 250,000 pounds the first year, plus many other health benefits, such as decreasing medications and improved energy, memory, mood and sleep. The secret sauce of The Daniel Plan was that the information was delivered through a small group format. We literally helped people get better together. Brain injuries among professional athletes are getting widespread media attention. You’ve worked with athletes for years. Are you seeing anything promising in this area? What can we do to protect our youngest aspiring athletes with developing brains? Football is dangerous to the developing brain. Period. There is no current way to make the game safe. I would add soccer headers, mixed martial arts, boxing, and any other sport that involves the risk of brain trauma. Your brain is very soft (about the consistency of soft butter) and the skull is really hard with many sharp bony ridges. 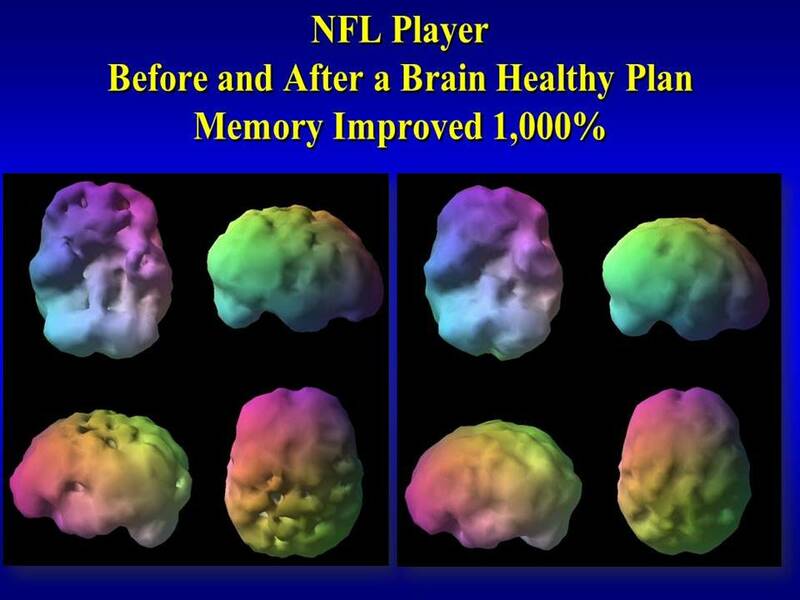 At the Amen Clinics, we performed the world’s largest brain imaging study on active and retired NFL players. When we started we felt the NFL was dragging its feet on protecting its players. Our published study clearly showed that professional football players were at very high risk for brain damage. We published those results in the Journal of Neuropsychiatry early in 2011. But the most exciting part of our study was the brain rehabilitation portion. We discovered that using the same program I discuss in Use Your Brain to Change Your Age, 80% of our NFL players showed cognitive improvement. One of our players, a 57-year-old former defensive back for the Denver Broncos, complained of memory problems. He scored in the fifth percentile on the memory tests we gave him. That means 95% of people his age would score better than he did. And his SPECT scan looked terrible. After 18 months on our program his brain looked dramatically better and his memory now scored in the 53rd percentile, which was 1,000 percent improvement. 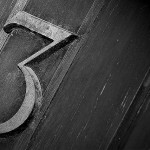 What Three Words Can Shape Your Future?